The effective use of digital technologies (eg iPads and laptops) to enhance learning is a crucial part of how we learn at Elm Park School. All of our classrooms are digital learning environments. Click here to view our Digital Learning and Technologies Strategy. At Elm Park School every student is given a Google for Education account login when they enrol. Student Google accounts include Drive (docs, sheets, draw etc), email, a blog for sharing learning artefacts and a site for teacher comments/reports. Student Google accounts should only be used for learning purposes and our teachers use Hapara Teacher Dashboard to monitor the accounts closely. If there are any serious issues with student use of their Google account we inform parents/caregivers immediately. Hello there, here's the latest news from Elm Part School: "Digital Learning". 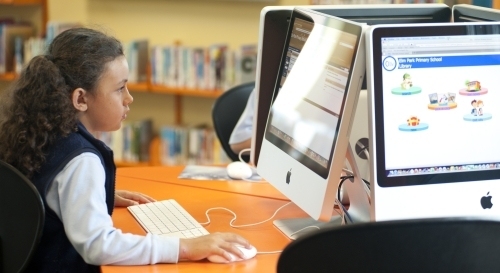 Here is the website link: https://www.elmpark.school.nz/digital-learning/. Thank you!